This was part of a challenge I gave myself to build and finish this guy in 2 days using a very low budget. The kit itself was great consisting of only about 9 parts. 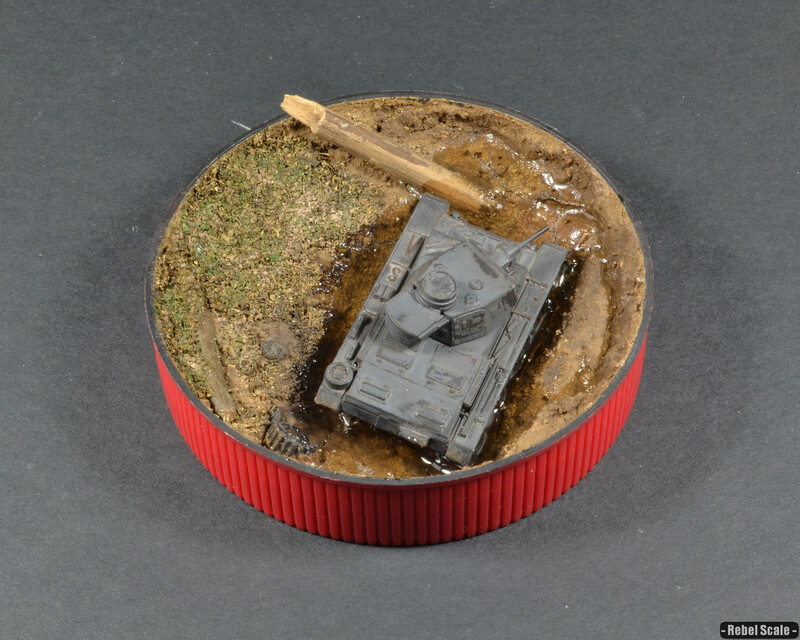 I used the hairspray weathering technique to create the chipping and rubber road wheels, which kept my paint use down to 2 paints. 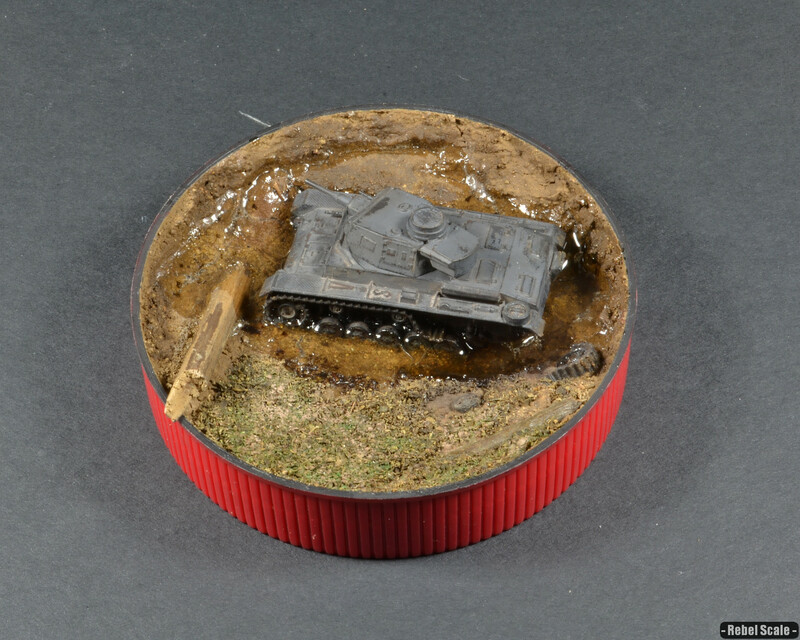 The idea of a panzer in a peanut butter jar lid came from a forum posting on armorama.com (I forget the exact post). 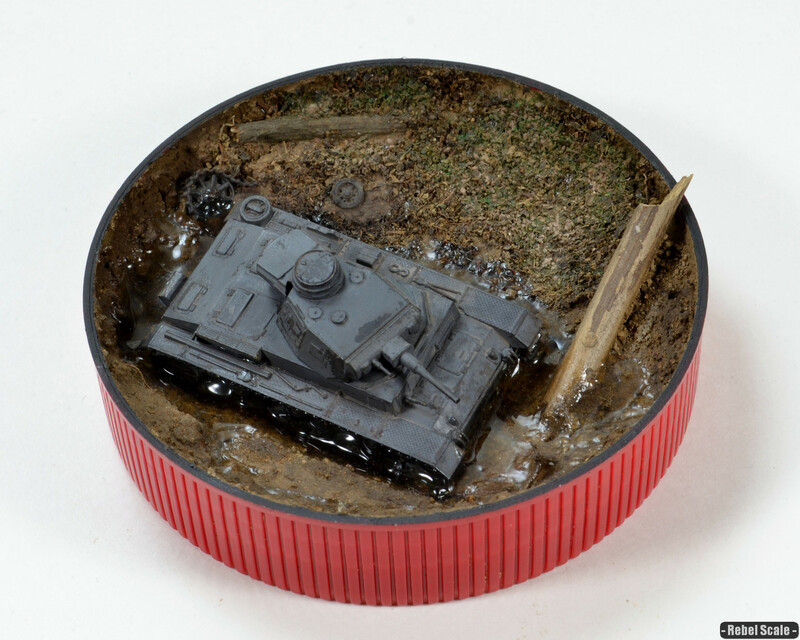 But I used a Jif lid and added found dirt and twigs attached via white glue. The grass is made out of green tea leaves. 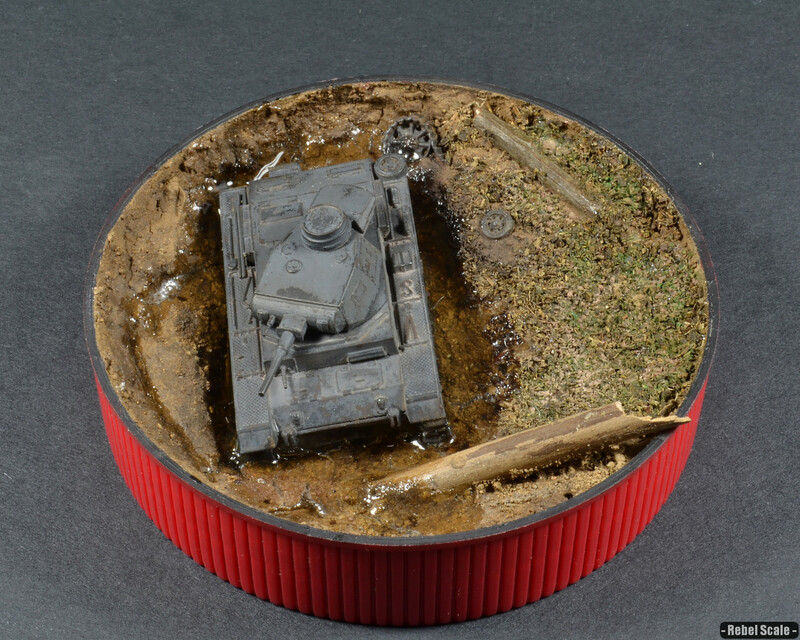 Once I attached the Pz. III, I was at the 2-day mark. 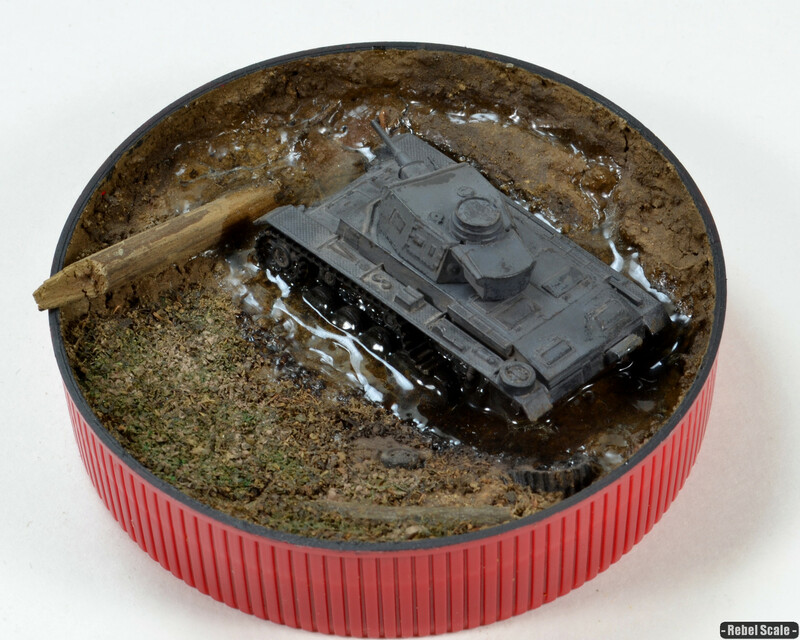 I later decided to add Realistic Water to the ditch, which required weeks of thin layers with plenty of dry time in between. It’s not perfect, but it was a fun (and cheap) little kit. 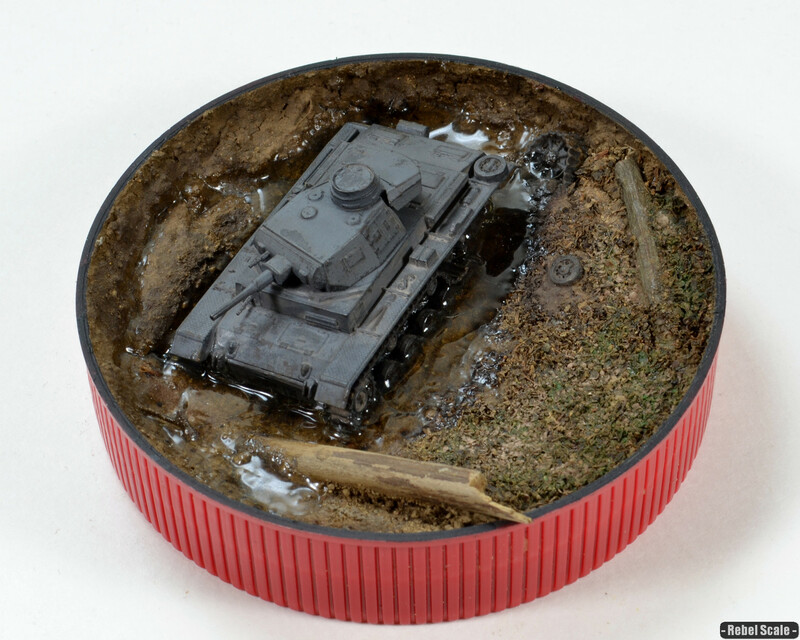 The Panzer III was one of Germany’s most widely used tanks, particularly as a mobile assault gun. A medium tank with good all-around stats, the Pz.III proved valuable on all fronts, particularly when Germany had trouble manufacturing and maintaining the newer, more complicated tanks.